1. 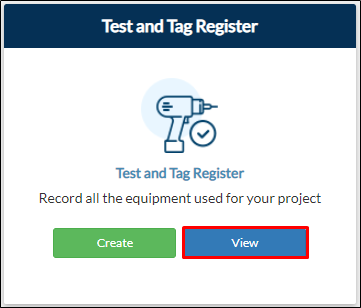 From your project page, go to Pre-Construction > Test and Tag Register > View. 2. You will be directed to the Test and Tag Register report page. 3. Click Update then modify or edit the details of your submission. 4. Click Save to apply all changes made. Note: The updated submission will be saved as the next version and the original submission will be retained.